A miniature, Victorian copper mould dating from c.1880. 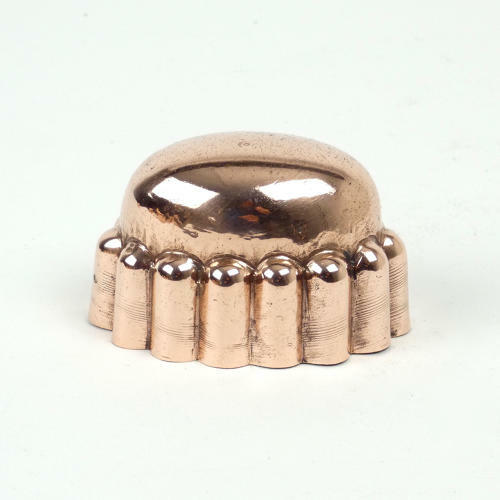 This mould is made from a substantial gauge of copper for it's size. It is oval, with a domed top and fluted sides. The design is relatively simple but, due to this, it would probably turn out very well. It is in excellent condition and the tinning, to the interior, is still in usable condition. We have a second mould of this type but the tinning to the second one is flakey and the mould could not be used .